Over the years, I have monitored the different complaints people have regarding their face and their facial features. Once of the main factors that people talk about is that they look tired. Tiredness is an illusion created by shadows in particular. Shadows form around their eyes because there is drooping and heaviness and around the lower face because of sagging of the face. Another form of a shadow occurs from fat that accumulates and collects on the lower eyelid. These are called the fat bags. The circular shadow that forms below it, gives the illusion of lack of sleep. Many people get quite frustrated when their friends and colleagues say you look tired and you need sleep and they in fact do not need that. The treatment that helped the tiredness around the eyes is laser therapy. We have been using the CO2 laser for over 20 years. Cosmetic surgeons and some Dermatologist surgeons like to use laser because it helps close blood vessels whilst it is cutting. It tends to enhance visibility and possibly the results. Interestingly, the technique that I have been using with laser cosmetic surgery for around the eyes has not changed in the last 20 years since we first introduced it and arranged the meetings to teach others how to use it. Another complaint that I see on the face is that people look angry. One of the most common causes of an angry appearance is the frown lines in the glabellar area between the 2 eyebrows. There are a number of muscles that work in that area. They tend to over-contract and cause either a single line or the double 11 sign. This is a frown appearance and may be present in people all the time. Muscle relaxant injections can soften that line. Fillers can also be helpful. Fillers have really developed over the last few years. There are so many uses for them now on the face. They can be used to elevate and give fullness to the cheeks to lift the drooping jaw line to give definition around the eyes and lips. People often get confused between the 2 different types of cosmetic injections. 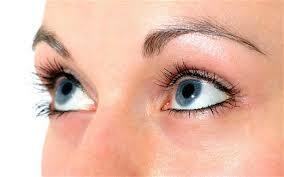 There are injections for muscle relaxation, particularly around the eyes. There are injections for fillers, particularly on the cheeks and around the mouth. Another complaint that people point out to me is that they are looking like the way their parent looked like or that they see photographs of themselves and they are not happy with how they look. Sometimes it is hard to actually oneself because you are used to looking at yourself all the time, but when one sees a photo, the changes do stand out. People can also relate to parents who look older and then there is a bit of a shock when they start to look the same way. Another complaint that I hear a lot about is the so called “turkey neck”. This is the heaviness and fat of the neck which droops down. I have been performing liposculpture of this area for over 20 years. Sometimes, we combine it with face lift or suture lift but the liposculpture alone can cause tremendous skin contraction and tightening of this area. It is good to listen and understand what patients are complaining about and what bothers them. When patients come to me, I have them assessed through a routine discussion of what is bothering them and what they would like to see improved and what are the reasons that they are doing it for. It is good to understand this in order to produce the maximum and optimal result. It is important for a doctor and a cosmetic surgeon to show empathy with their patients so that the doctor can really help them. Often this means combining procedures and even reducing some costs. The cost of cosmetic surgery of the face does vary and we try to be very fair both in the cost of liposuction and cost of facial rejuvenation.